The launch includes an interview with Barry Knight by the editor of the New Statesman, Jason Cowley, a screening of our new Rethinking Poverty animation, and details of the Trust’s plans to secure the legacy of Beatrice Webb, pioneering social reformer and co-founder of the London School of Economics and the New Statesman. 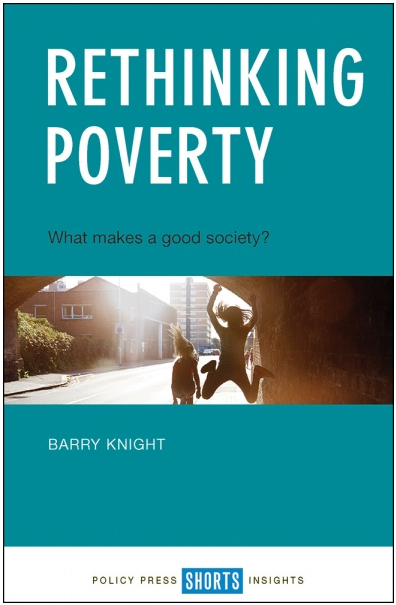 Rethinking Poverty – What Makes a Good Society? In our society, a wealthy minority flourish, while around one-fifth experience chronic poverty and many people on middle incomes fear for their futures. Rethinking Poverty argues that we need to start with the society we want, rather than framing poverty as a problem to be solved. It calls for a bold forward-looking social policy that addresses continuing austerity, under-resourced organisations and a lack of social solidarity. Based on a research programme carried out by the Webb Memorial Trust involving leading organisations, academics, community activists, children, and surveys of more than 12,000 people living in poverty, a key theme is power which shows that the way forward is to increase people’s sense of agency in building the society that they want. We would be delighted to welcome you to the launch at 10.15 on 13 September 2017. Attendance is free. Please register above to reserve a place.